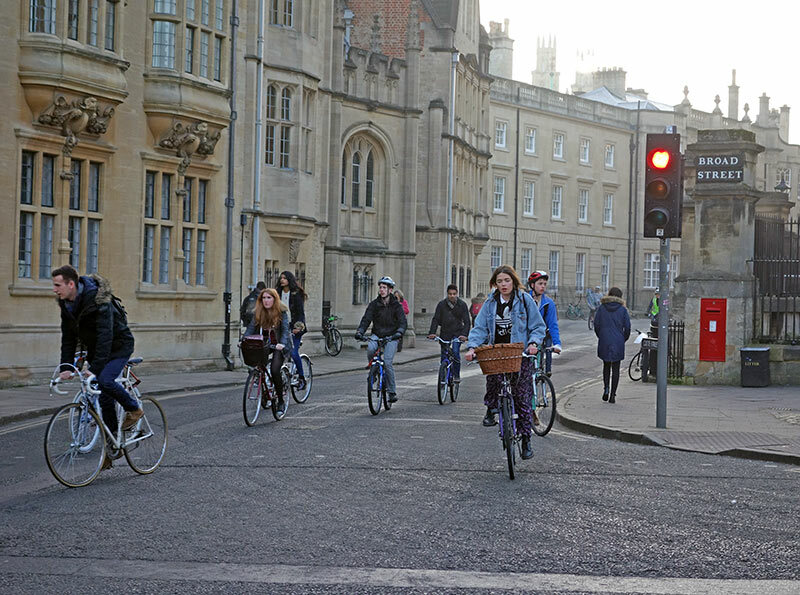 One of my favourite spots for taking photos of cyclists in Oxford is on Broad Street, in particular this crossroads by the Bodleian library. 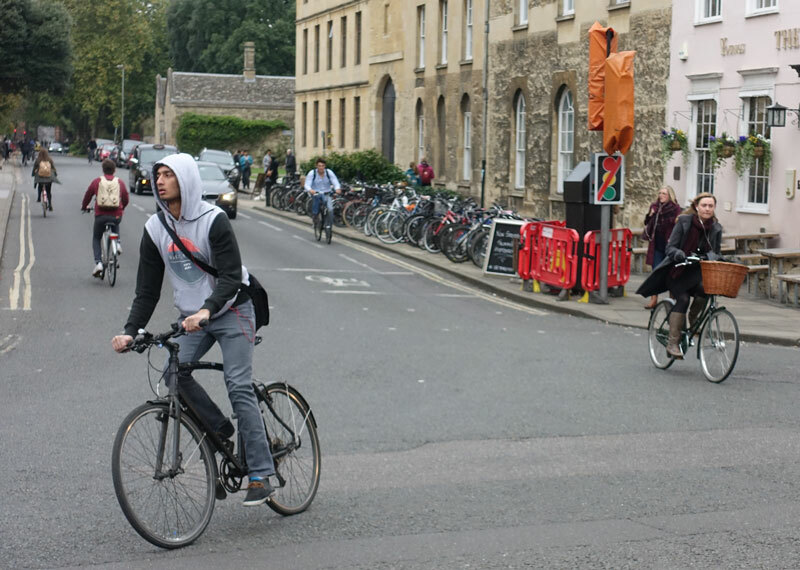 The reason is that through traffic is prohibited so over 50% + of traffic are cyclists. 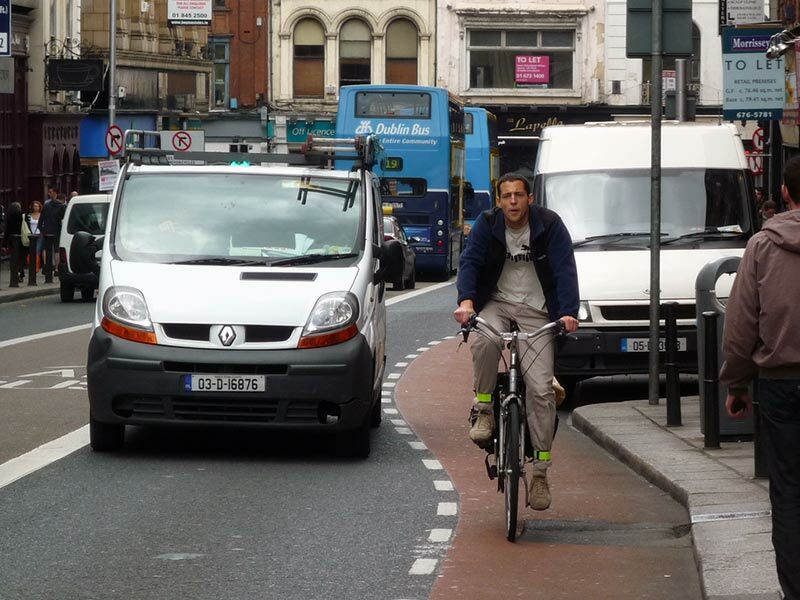 There are a few delivery lorries, so it’s not quite a cyclist paradise, but compared to your average inner city road it is quite peaceful. It is interesting to just listen. 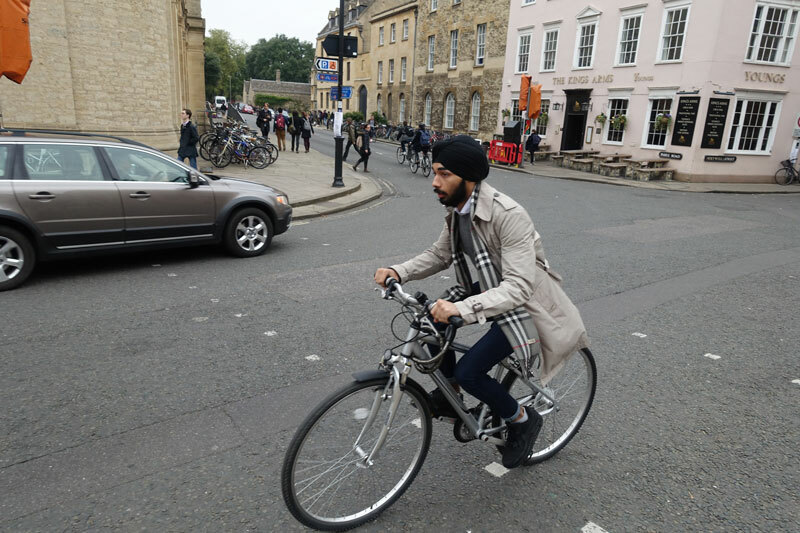 Sometimes a few minutes can go by without any vehicular traffic, and you just hear the whir of bicycle wheels – very civilised! 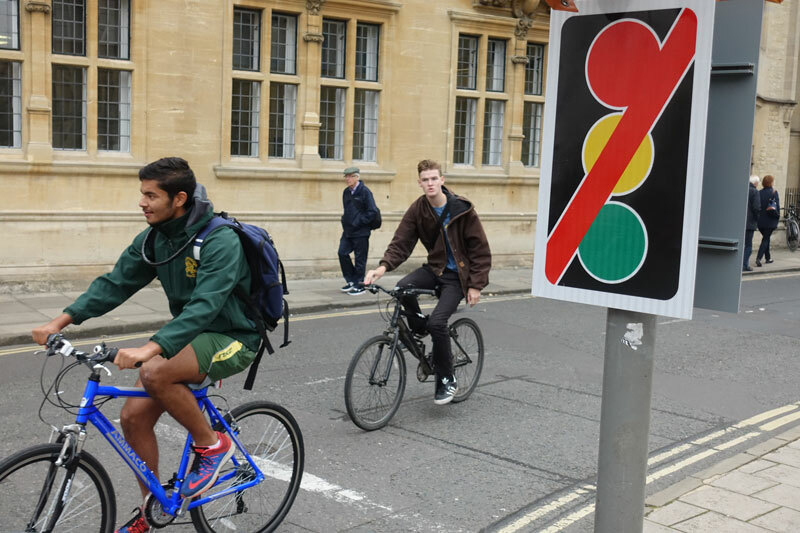 Previously the junction was controlled by traffic lights, though traffic lights felt a little over-bearing given the nature of the traffic on the road. Now the experiment is to get rid of traffic lights and just rely on people using their common sense. It hasn’t even been marked into a proper roundabout. Generally, it seems to work OK. 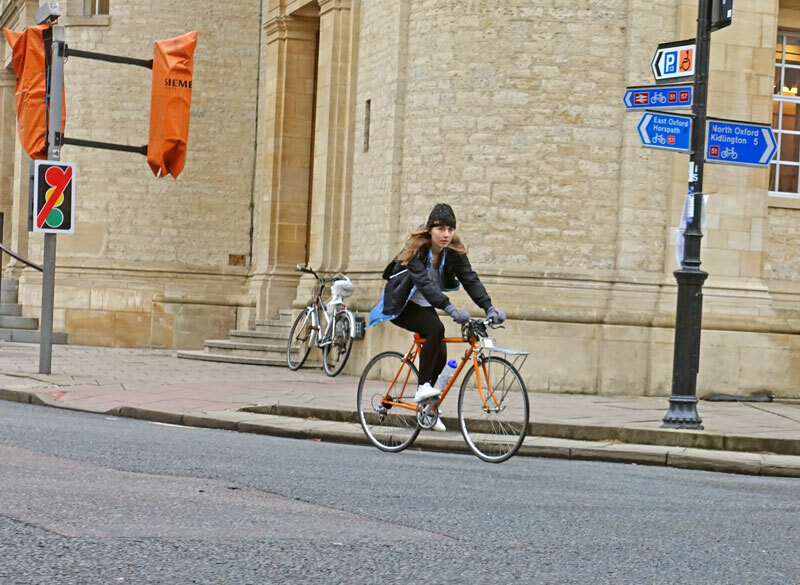 Occasionally some vans approach with too much speed, but generally it feels fairly safe. Without any lights, it puts the emphasis on the road user to check everything is OK before proceeding. It’s interesting to see the difference in philosophy. 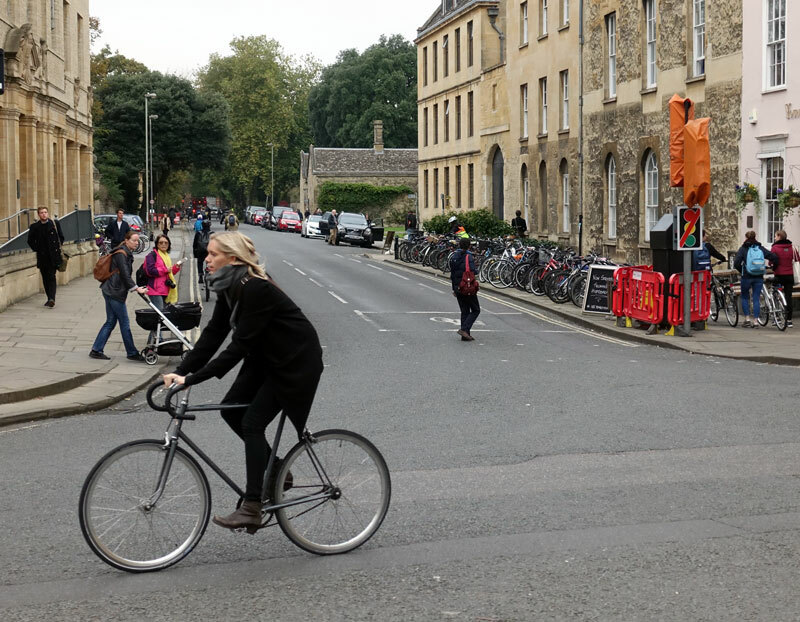 One road campaigner (whose name I forget) said the most successful road design was to reduce the number of signs, markings e.t.c. 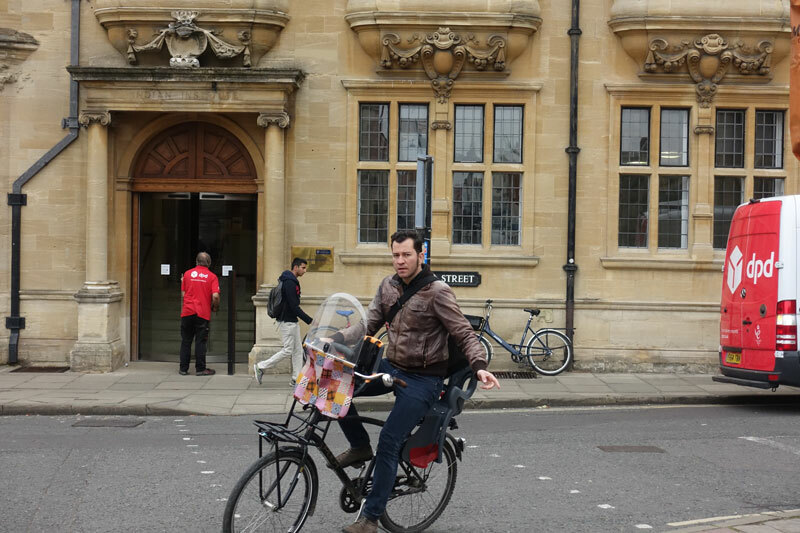 because then road users felt they were in more of a pedestrian area and therefore drove more carefully as a result. If everything is marked out and signed, you feel like a train running on tracks. 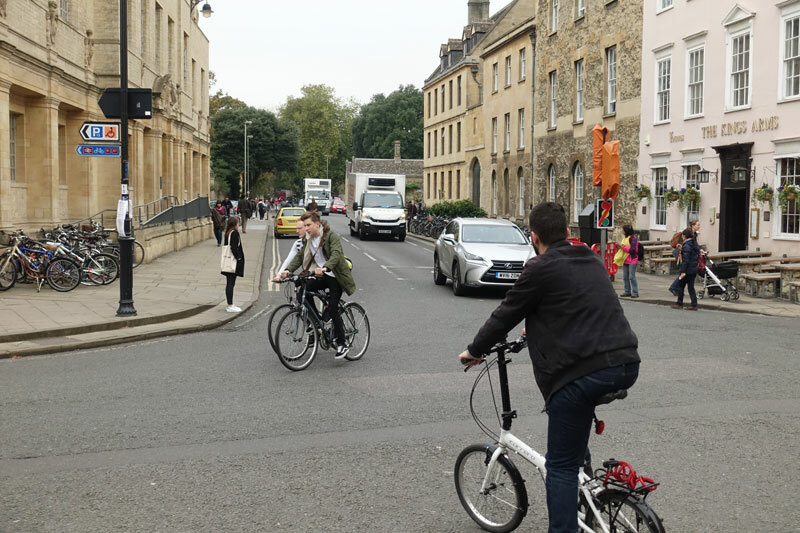 I know some cycle lanes which makes drives think as long as they stay out of cycle lanes they can overtake as close as possible. 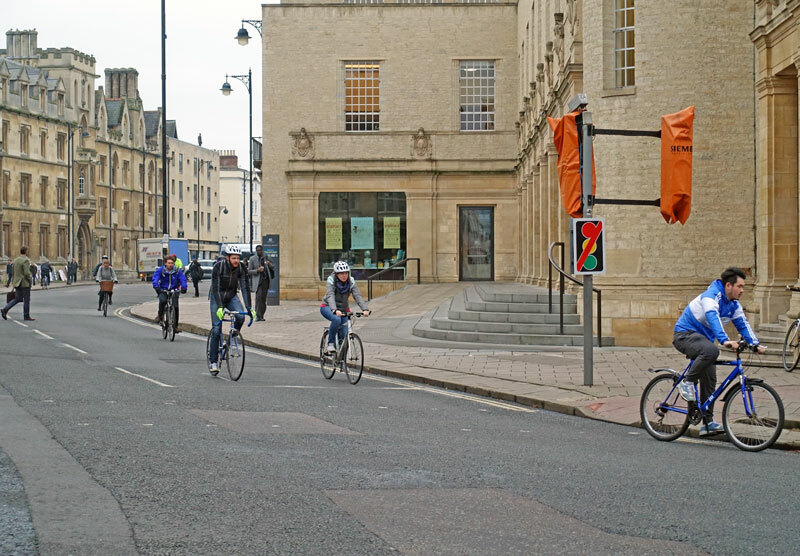 Anyway back to Broad Street junction, these are some photos from past few days, to give a flavour of the junction. 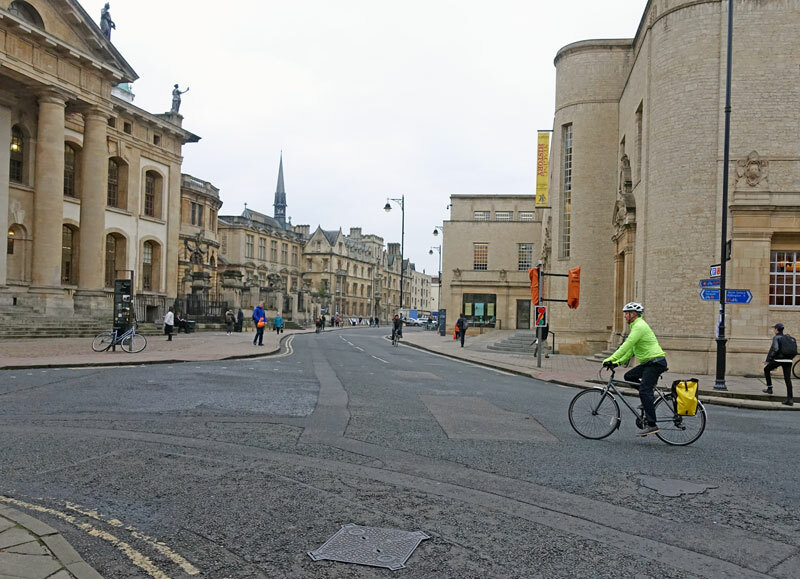 The only incident I’ve seen was this tourist walking out onto road without looking – nearly knocking off this cyclist. 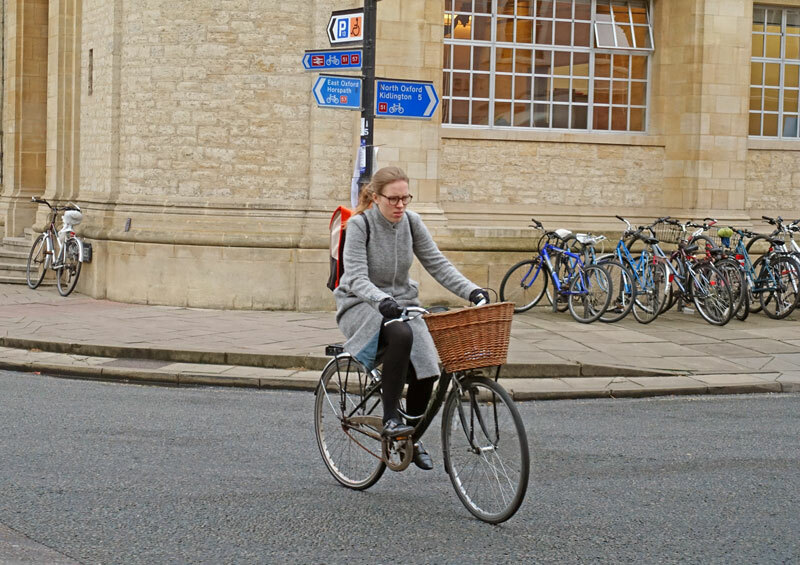 I was impressed this particular cyclist was very tolerant and patient, she didn’t even get cross. 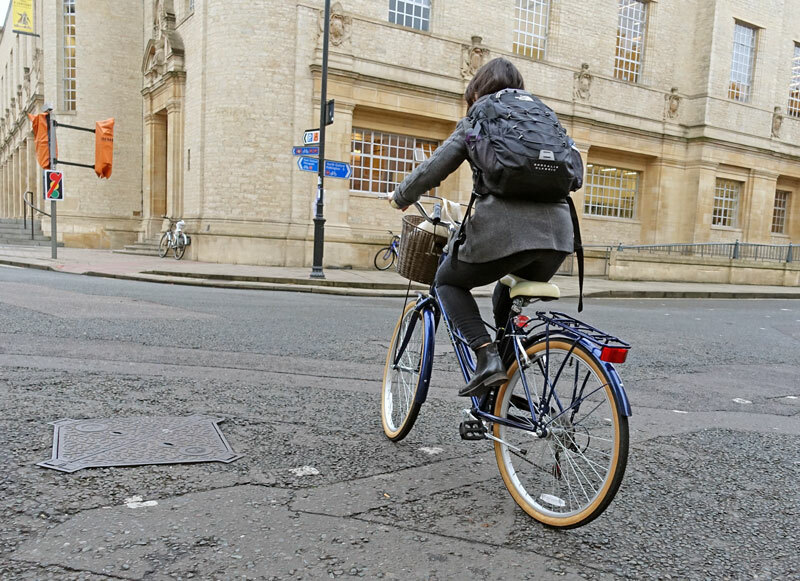 Unfortunately, tourists standing in the middle of the road or walking in the road – oblivious to any surroundings – is an occupational hazard of cycling in Oxford. It is best to accept it, be a little patient and go around them. Even ringing a bell doesn’t make any difference! Overall I do prefer the new arrangement. 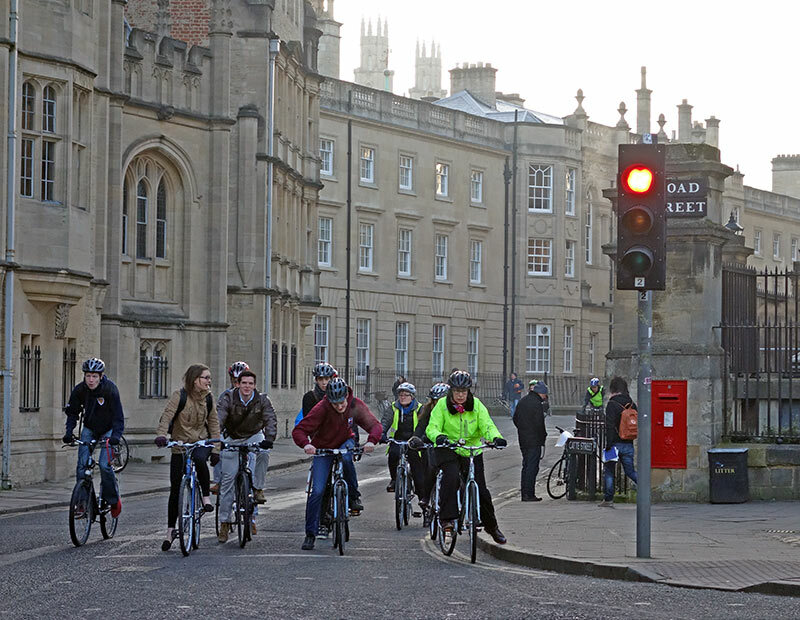 It requires 20mph speed zones and just makes drivers and cyclists think a little more. It’s also good because often you wanted to filter left through a red traffic light because there was no good reason to wait. 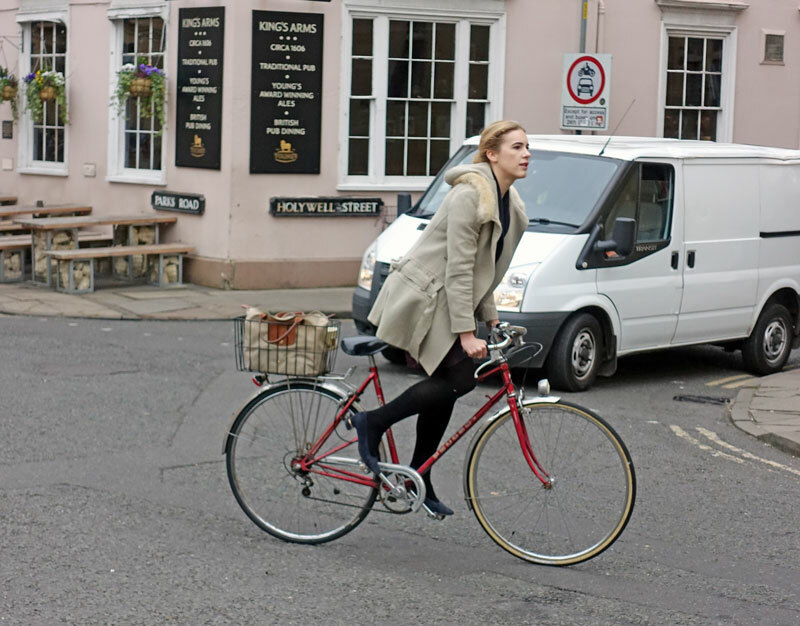 Not really judging either way but the lack of helmets is really noticeable in these photos. The Dutch engineer Hans Mondrian was one of the main exponents of “shared space” – the idea of letting different modes mingle while removing much of the traditional signage, road markings and street furniture. 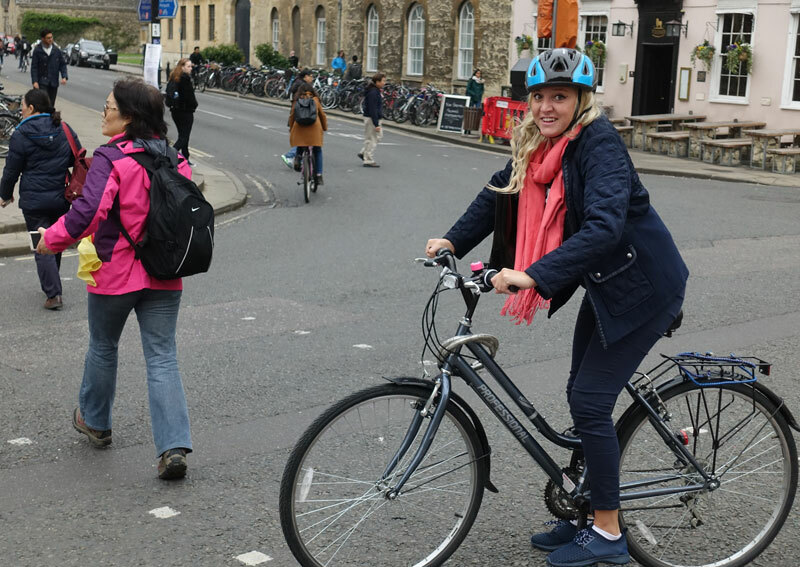 You often hear people – sometimes having read one or two articles – rave about how we can solve society’s transport problems if we just got rid of all the “clutter” and people would take responsibility for themselves. 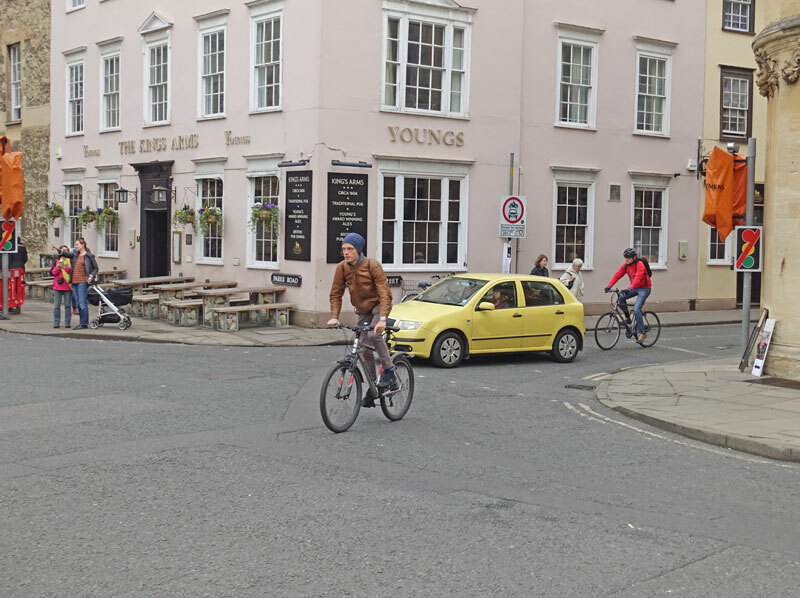 In the UK Martin Cassini has very vocally supported the idea of shared space, and notable examples are Poynton in Cheshire and Exhibition Road in London. Of course life is not always as simple as many people would like to imagine. 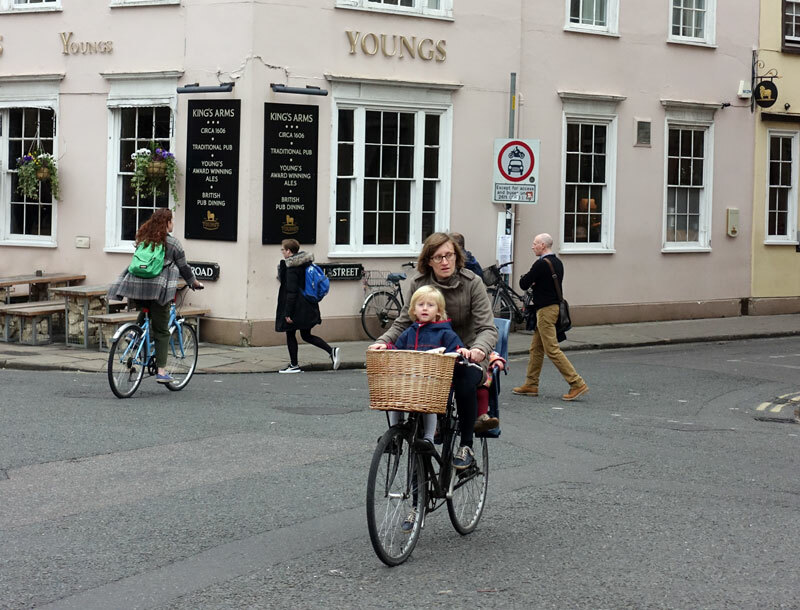 My own experience would tend to agree with the points made by Mark Treasure on his blog AsEasyAsRidingABike. 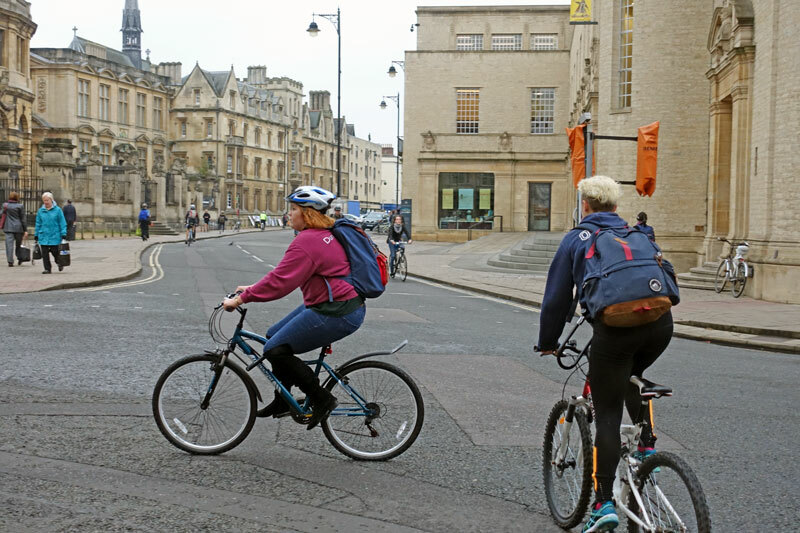 Shared space can work well in areas where traffic levels and speeds are already lower – either historically or through calming and the removal of through-routes. But where traffic levels remain high it’s not always the panacea some would like to imagine. 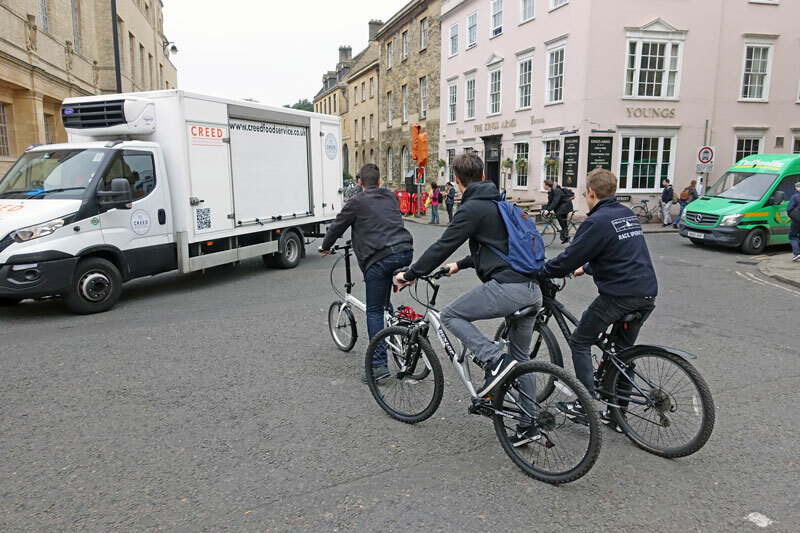 Perhaps some people will slow down through a fear of the unfamiliar, but it’s not necessarily a pleasant experience for the lorry drivers or the cyclists (for example). 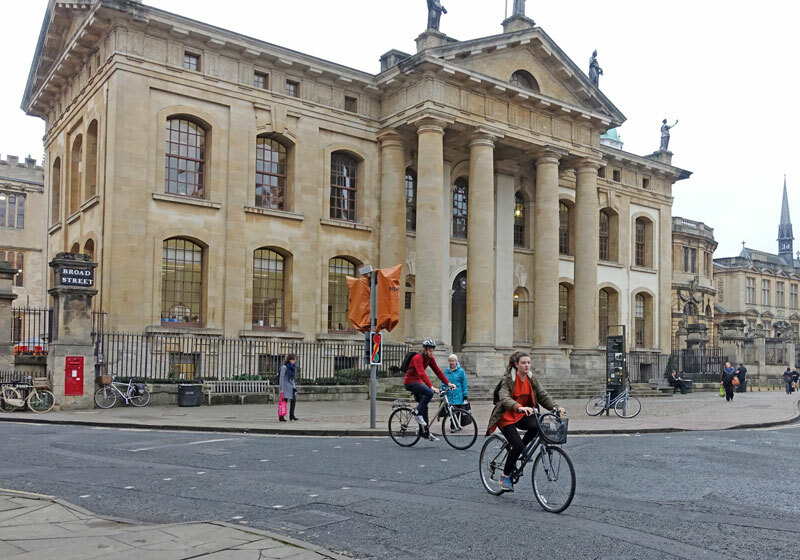 In the centre of a city like Oxford, with it’s colleges and tourism, it makes a great deal of sense to me to minimise motorised traffic by making the roads access only and lowering speed limits. As long as the infrastructure indicates to drivers that they are guests of a sort, then I hope it works well. 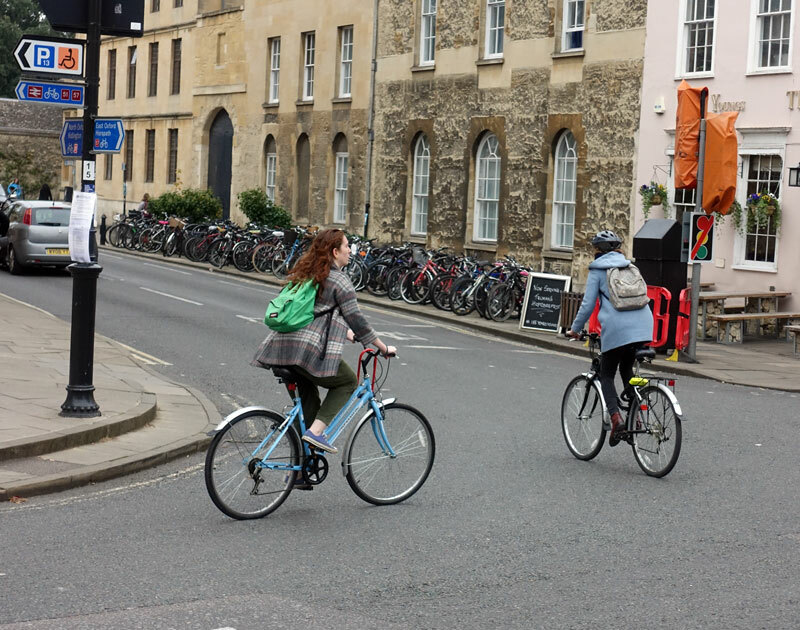 It would be great to see the same model introduced in other busy city centres. Another article about shared space in the Netherlands, Hans Monderman’s native land. 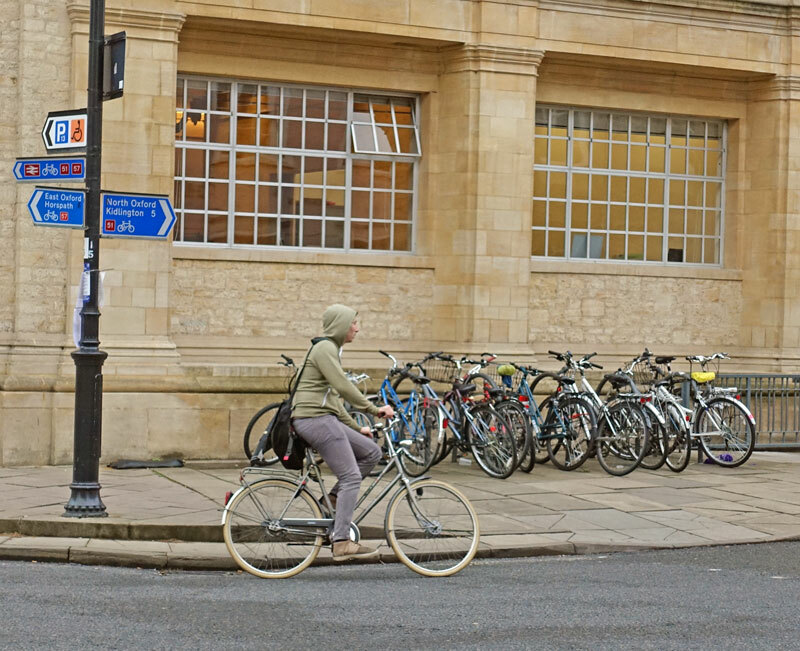 The article suggests that even there shared space is relatively rare, and not always hugely popular.